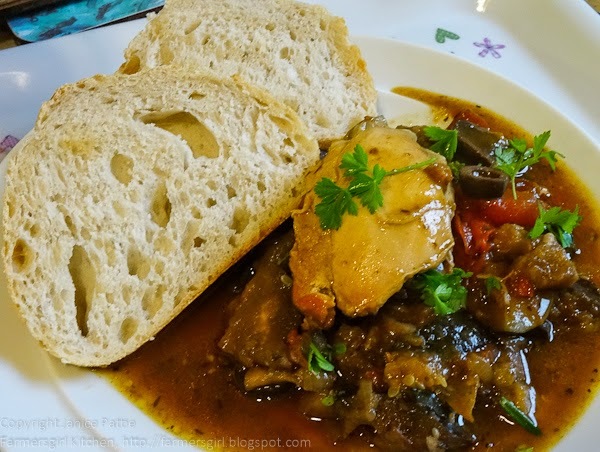 I thought I'd better make a recipe for my own blog challenge: The Slow Cooker Challenge. The theme this month is 7-a-day Fruits or Vegetables. Now it might be pushing it to get a full seven portions of fruit or vegetables onto one plate, but it isn't that difficult to add 7 fruits or vegetables to a single dish. 1. Brown the chicken pieces in a pan with a little oil, set aside. 2. Chop all the vegetables into even sized pieces and place them in the bottom of the slow cooker. 3. Mix the pesto and balsamic vinegar into the vegetables and top with the chicken pieces. 4. Cook on medium for 4 hours or on low for 7 hours. 5. Top with chopped parsley. 6. Serve with crusty bread to soak up the juices. I'm also entering this recipe for Four Seasons Food Spring Challenge: Let's Celebrate Vegetables run by Delicieux and Eat Your Veg. 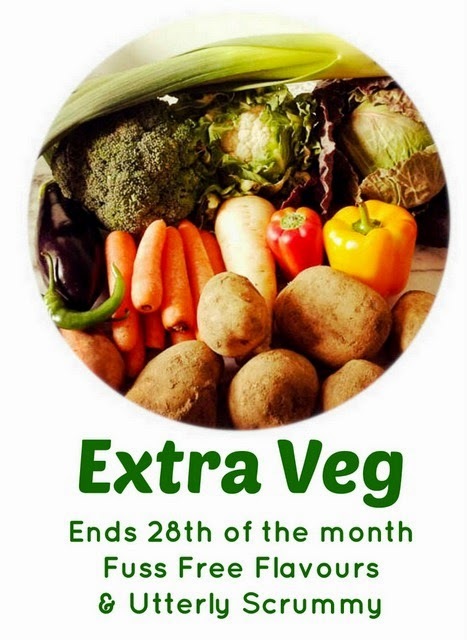 Fuss Free Flavours and Utterly Scrummy are also celebrating 7-a-day with their challenge Extra Veg. Ooh that looks really healthy and really tasty Janice:-) Did you use green or red pesto? you are making me wish I had a slow cooker! oh good lord that looks stunning and i'm loving what you're doing with my chicken thighs... I'll have to add this one to the list.. those veg look divine and I bet all those chickeny juices were incredible. Very hungry now! It looks very delicious. I think eating colourful is a very good and healthy thing to do. Thanks Karen, no worries if you can't, there's always another time. Thanks Camilla, I used green pesto, but red would work just as well. Ha ha! I'll convert you yet, Fiona. Thanks Dom, those thighs were just so tender and you are right about the juices, that's what all the crusty bread was for, love mopping up cooking juices. I agree Chris, nice to get some spring and summer veggies into us! 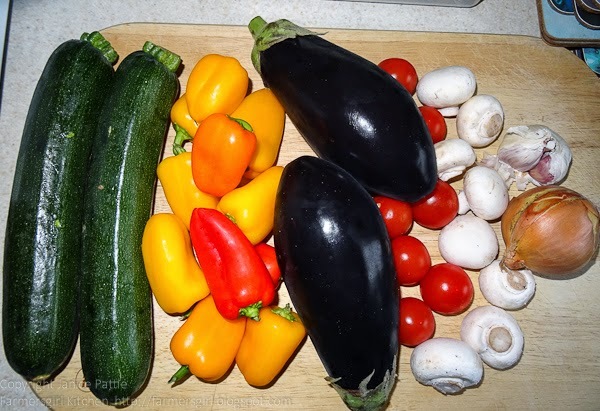 What a lovely selection of veggies, would not mind them with some rice cooked in slow cooker. Those are some of my favourite vegetables and everything goes with chicken. Looks delicious. Looks super delicious! I love dishes with loads of veggies with sauce it always smells so great! looks amazing Janice and I would love this as a weekend slow cook and use the remainders in the rest of the week. I am sure this must smell as good as it tastes! I need to do more things with my slow cooker. So much to do and so little time. Quick and Easy Sausages Three Ways! 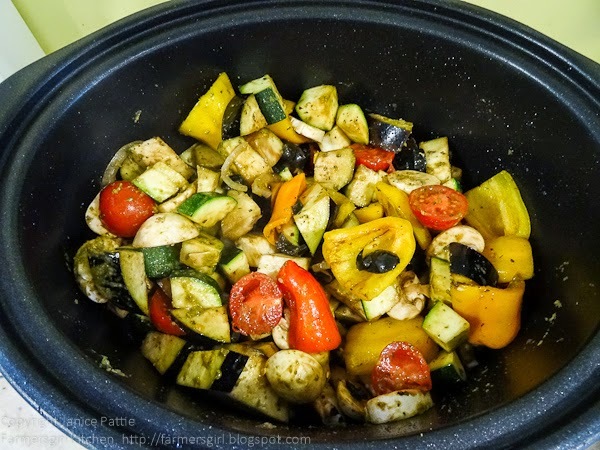 April Slow Cooker Challenge: 7-a-day!